At every turn, new hotels, attractions, restaurants, breweries and distilleries are adapting the city’s world-renowned architectural legacy and historic buildings for the 21st century. 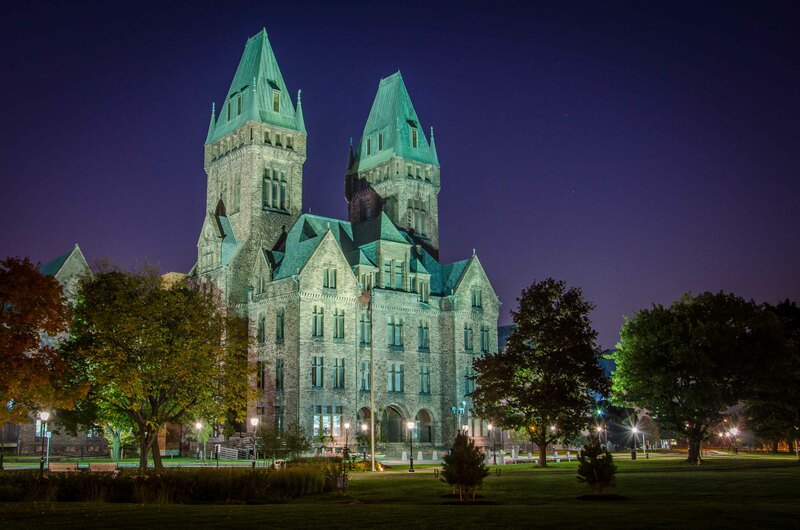 In the last decade, there has been a sea change in how the city perceives itself; visionary Buffalonians have realized that the buildings, neighborhoods and architectural fabric that have always existed here set the city apart and are key to its rebirth. Here are 12 inspiring examples of the city’s once-in-a-lifetime transformation. 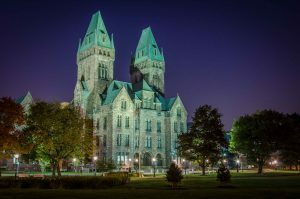 THEN: The Buffalo State Asylum for the Insane, built in the late 19th century by acclaimed architect Henry Hobson Richardson and set on grounds designed by Frederick Law Olmsted. The building sat disused for over 30 years. NOW:Hotel Henry, an 88-room urban resort and conference center, opened in 2017 and honors the building’s original architectural features. The Olmsted landscape has also been beautifully restored. THEN: The Grange League Federation (GLF) operated an extensive grain milling and storage facility on Buffalo’s waterfront; Buffalo has one of the largest collections of grain silos in the world. 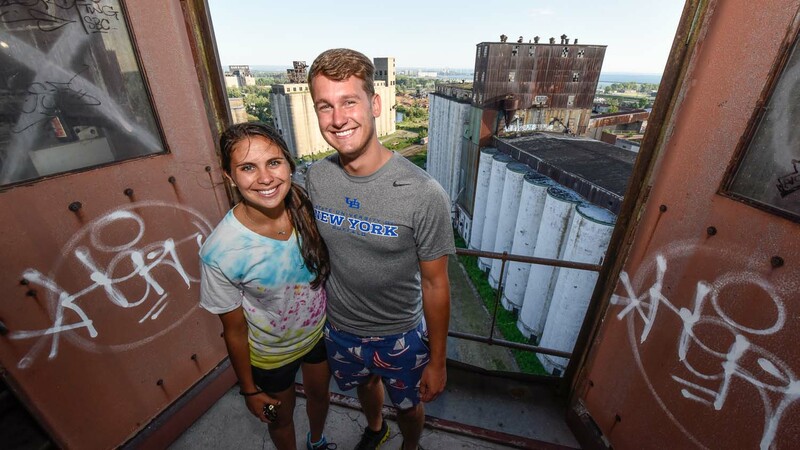 NOW: The Buffalo RiverWorks urban adventure course debuted in the summer of 2018 and features zip lining, rock climbing, a two-level ropes course and other outdoor activities set among the property’s grain silos. A restaurant, waterside patio and roller derby rink opened in a converted warehouse in 2015, while a silo brewery and beer garden joined the complex in 2017. THEN: The Harlow C. Curtiss Building was an ornate early 20th century downtown office building that was abandoned by the 1990s. 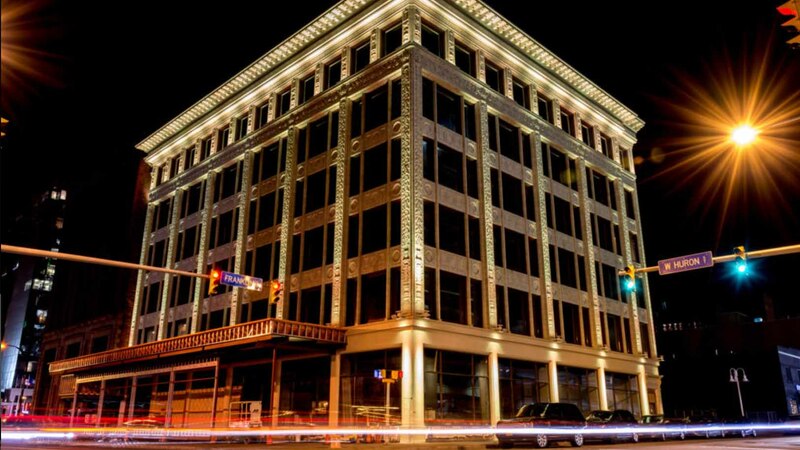 NOW: The Curtiss Hotel, a 68-room boutique hotel featuring an all-weather urban hot springs, rooftop patio, revolving restaurant bar and other high-end amenities, opened in 2017. THEN: The Erie Canal ended its 363-mile journey on the city’s waterfront in 1825, making Buffalo an industrial boomtown. The westernmost portion of the canal was buried by the early 20th century. 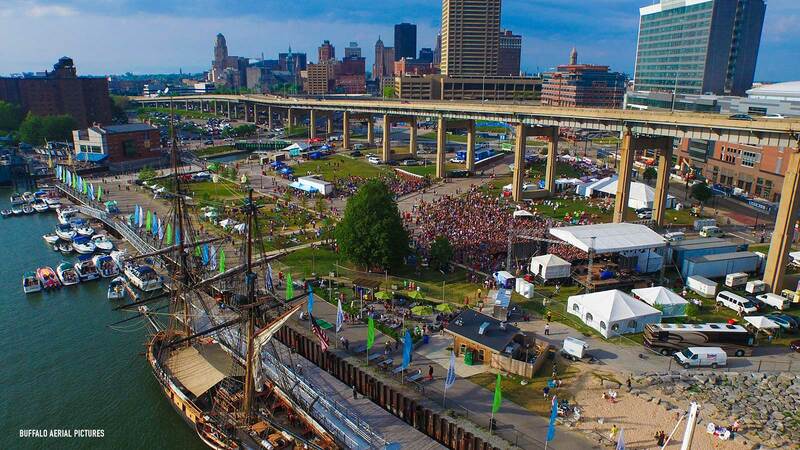 NOW: The original western terminus of the canal was re-excavated and became the cornerstone of Canalside, Buffalo’s revitalized waterfront district that draws over 1 million annual visitors and features hotels, restaurants, shops and a host of year-round activities, from weekly summer concerts to ice biking. 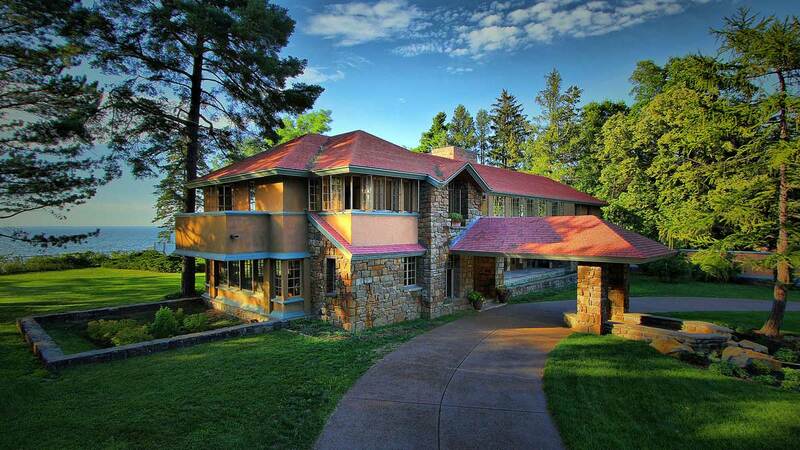 THEN: The Martin House was Wright’s most significant commission to date outside of Chicago and his largest residential design when it was completed in 1907. But the building fell into disrepair by the mid-20th century; portions of the complex were sold off and demolished. NOW: Following a restoration spanning more than two decades and $50 million, the complex’s outbuildings have been rebuilt and visitors are seeing the main house in its restored grandeur for the first time in generations. The neighboring Barton House, which Wright also designed, was fully restored in 2018. The original sprawling garden and landscape is set to be completed in 2019. THEN: Home to the Larkin Soap Company, one of the city’s largest employers and considered the Amazon.com of its day. Larkin filled several sprawling warehouses that covered full city blocks. 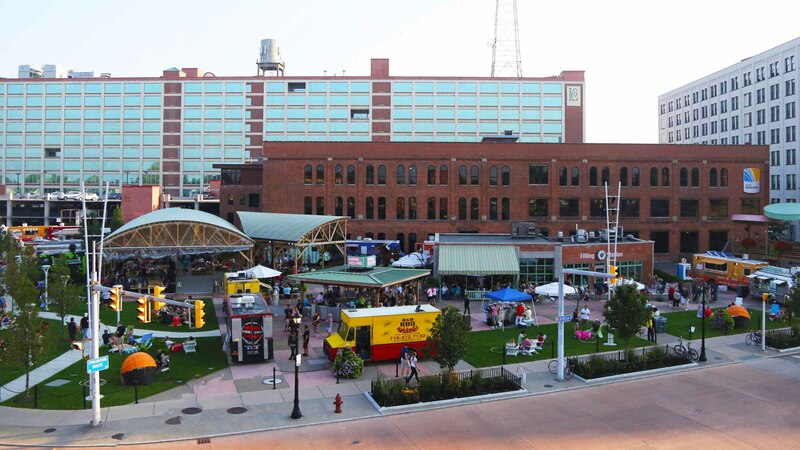 NOW: This revitalized warehouse district features breweries, distilleries, new restaurants and a public square that hosts one of the largest weekly food truck rodeos in the United States, Food Truck Tuesdays. The Swan Street Diner, a restored 1930s diner from Central New York, opened there last fall. Dobutsu, a Japanese-themed restaurant specializing in seafood, and Eckl’s @ Larkin, the second location of one of Buffalo’s most famous purveyors of beef on weck, joined the neighborhood’s ranks in 2018. 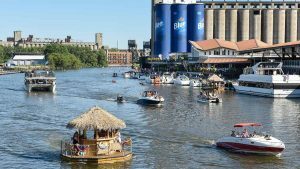 THEN: A collection of grain elevators along Buffalo’s waterfront housed several grain storage facilities and a malting operation during the city’s heyday as a transshipment and grain milling center. NOW: Silo City is a popular spot for architectural tours that climb to the top of the grain elevators, poetry readings, musical concerts that utilize the property’s unusual acoustics and a host of festivals that run through the summer. The owner of Silo City also opened Duende, a bar/restaurant, on the property inside a former administration building in the summer of 2018. 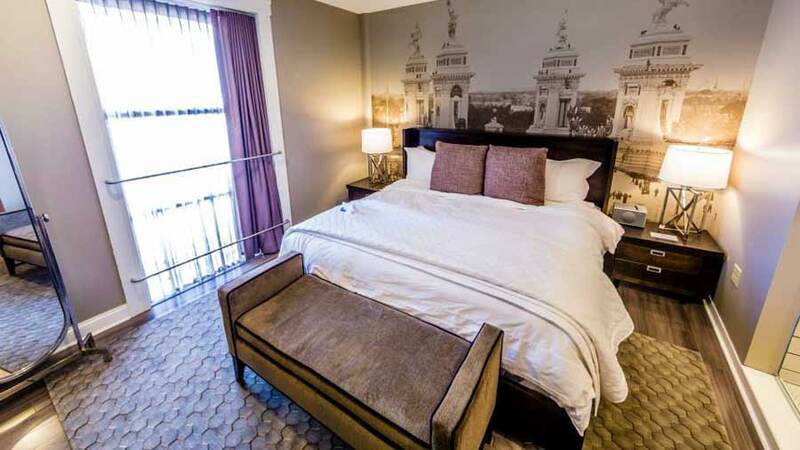 THEN: Designed by Louise Bethune, the first female architect accredited by the American Institute of Architects, this was one of Buffalo’s grand downtown hotels at the turn of the 20th century. It fell onto hard times and was considered a flophouse by the late 20th century. NOW: The hotel was meticulously restored in 2012 and also features a microbrewery and coffeehouse on its first floor. 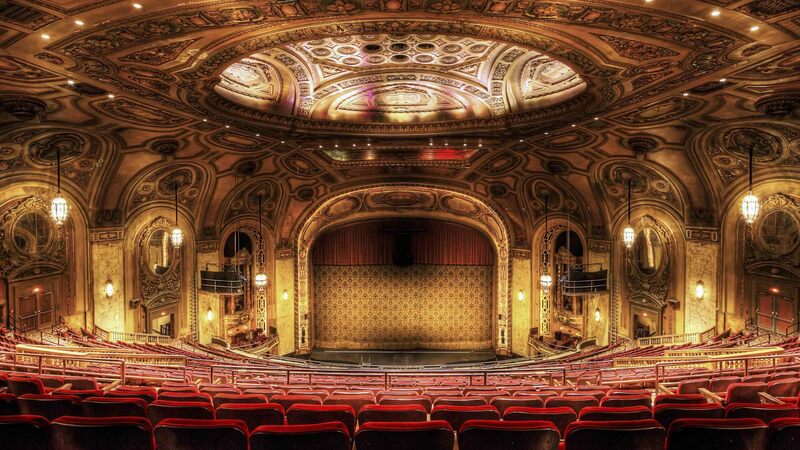 THEN: With interiors designed by Louis Comfort Tiffany, Shea’s debuted as a movie theater in 1926 built to look like a European opera house. By the 1970s, changing tastes in entertainment nearly brought about its demolition. NOW: Following a 20-year restoration and stage expansion, Shea’s is now one of the most successful theaters in the United States for touring Broadway productions. THEN: The Quaker City Cooperage Co. manufactured barrels from the heart of Buffalo’s Old First Ward Neighborhood. 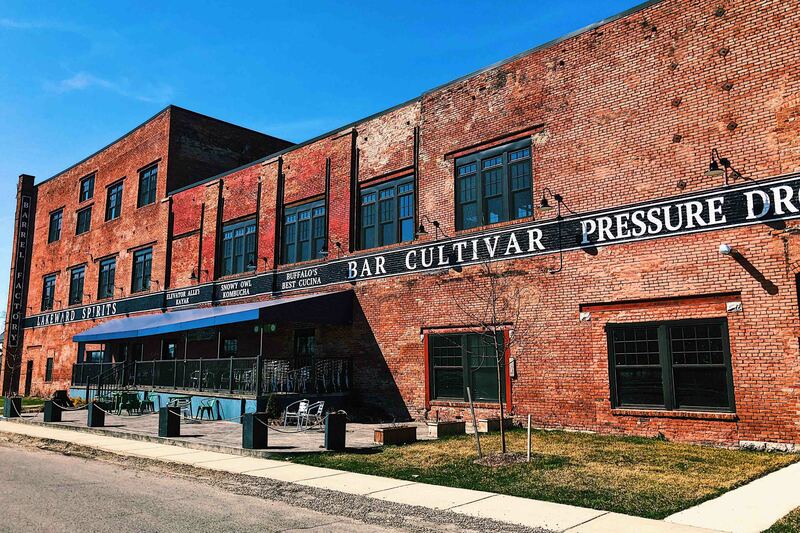 NOW: The redeveloped Barrel Factory, which incorporates many of the building’s original architectural elements, features a brewery, distillery, restaurant, a kayak rental shop, kombucha store and other amenities. THEN: This was the summer home for the Martin family (of Martin House Complex fame) for decades. The lakeside Graycliff Estate was on the market and nearly demolished and replaced by condos in the 1990s before preservation-minded locals stepped in to save it. NOW: A 20-year interior restoration of the building was completed in 2018, bringing another one of Wright’s original designs back to its original grandeur. THEN: Founded by Elbert Hubbard, the Roycroft was one of the leading American Arts & Crafts communities at the turn of the 20th century. 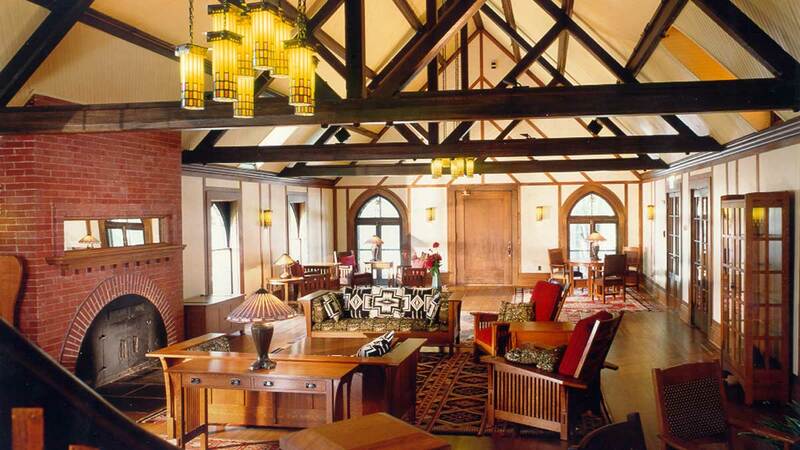 Artisans worked in jewelry making, book binding and other trades at the campus; the Roycroft Inn, across the street, hosted many of those who learned at the campus. Both the campus and inn were in deteriorating shape by the mid-20th century following the ebbing support for the Arts & Crafts movement. NOW: The campus and the inn have been restored and are a National Historic Landmark. 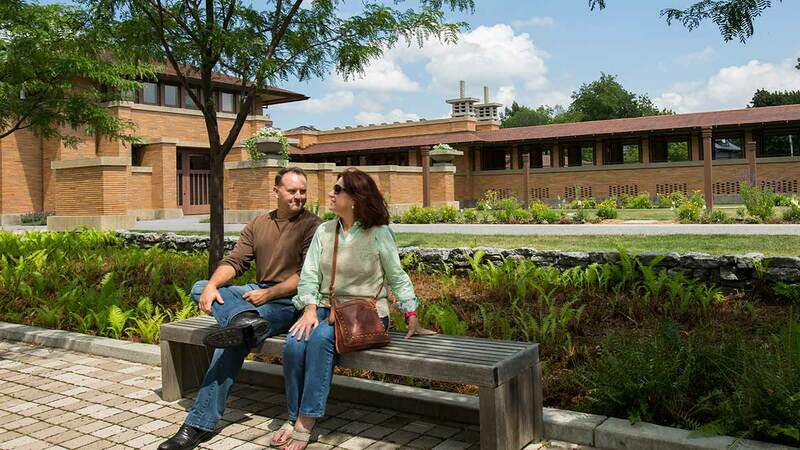 The campus once again hosts artisan classes and opened a museum dedicated to the Roycroft’s history in the fall of 2017, while the inn’s Sunday brunch and open-air peristyle dining are Buffalo favorites. Brian Hayden is Visit Buffalo Niagara's communications manager. 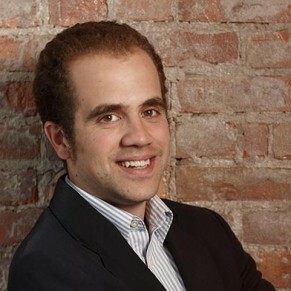 He joined VBN in February 2014 after working as a newspaper reporter and social media manager in Northern New York. He's thrilled to be back promoting his hometown's renaissance; Tweet to him @Brian_hayden.